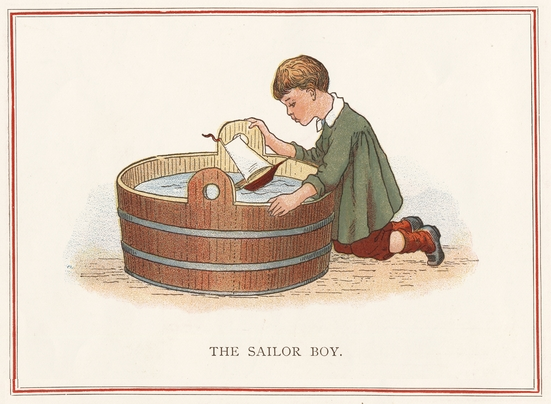 Rub a dub dub, a little boy, a sailboat and a tub. Will it float or sink deep into the drink? Does our sailor boy dream of adventures off far away? Or winning a race against his friends? Offers some timeless fun for one and all.